As always, we choose to have our coffee delivered as fine espresso powder because we have a Dualit 3-in-1 Espresso machine (which makes the best coffees ever!) 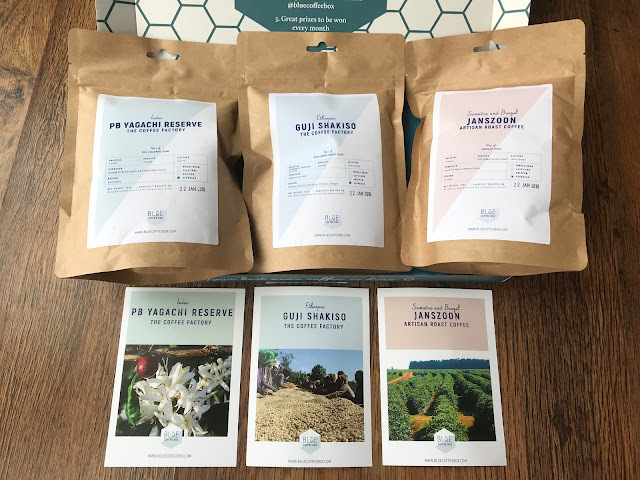 This month we received three brand-new-to-us coffees and as usual they were packaged beautifully! About the coffee: There are approximately 250,000 coffee growers in India; 98% of them are small growers. As of 2009, the production of coffee in India was only 4.5% of the total production in the world. Almost 80% of the country's coffee production is exported. Coffee is grown in three regions of India with Karnataka, Kerela, and Tamil Nadu forming the traditional coffee growing region of India. This particular coffee is 100% shade-grown under a two tier shade canopy, allowing for consistent bean development. The farms also employ intercropping with orange and pepper trees, adding to the unique after taste. Harvest is conducted via selective manual handpicking, followed by a fermentation and wash process, then a 7-day drying process. Coffee beans are laid bare beneath the sun at the Kumbrikhan plantation in India. For twenty-four hours they are turned so that not a single bean can escape the sun's heat. Only once they are fully dried will they be put into grain pro bags for storage, ready for sale. 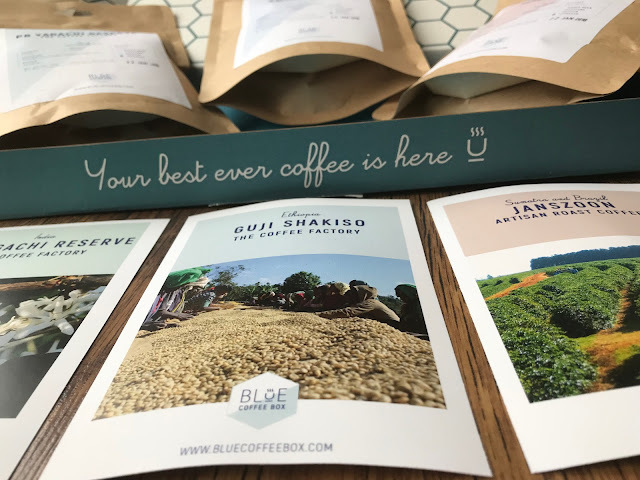 What We Thought: This was my favourite coffee from this months box, I loved the heady spices and hint of cacao nibs - I'm a big fan of creamy coffee, and I like that smooth after taste, so this was ideal for my tastebuds. As usual, I find it completely fascinating to be able to learn facts about the coffee I'm drinking, it makes the drinking experience all the richer. Notes of guava, mango, peaches and cream. About the coffee: Shakiso dry mill is located in the kebele of the Bubeuke, near Shakiso town in Guji zone. This is in the Oromia region of Ethiopia. The mill specialises in producing high-grade sun-dried coffee. 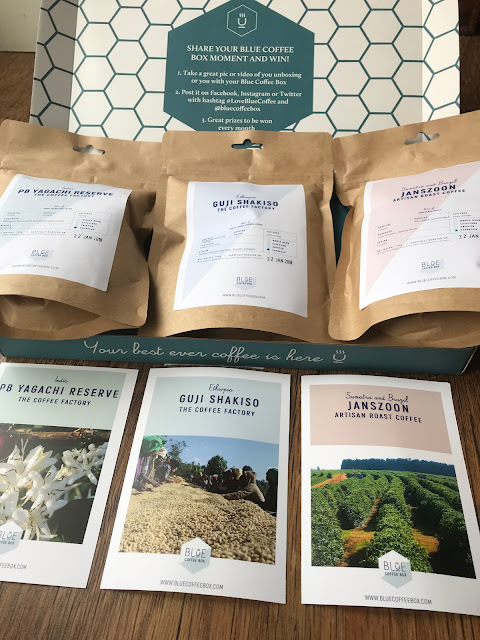 Over a number of years, the region has developed a distinguished reputation for fine coffees, producing some of the most sought after micro lots in the world. 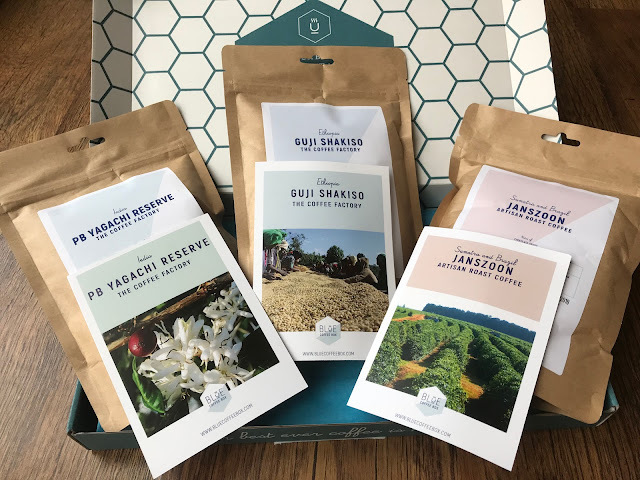 The combination of high altitude, fertile soil, consistent and plentiful rains, and an abundance of local knowledge are all contributing factors to the high status of Guji coffees. Cherries are delivered to the mill for careful sorting, then dried in the sun on raised African beds for approximately 12-15 days. In the daytime, they are raked and turned periodically to ensure a consistent drying process. The cherries are covered between 12pm and 3pm to protect them from sun damage and at night time to protect it from rainfall and moisture. Once the coffee has dried to the right level it is milled, graded and sorted. What we thought: This was a really lovely coffee, and although our least favourite from this selection, still a really beautiful coffee, elevated way above most shop-bought or cafe coffees I've had in the past. Another coffee with a beautiful rich and creamy flavour, a great smooth and silky texture, and definitely clear hints of fruit in the flavour notes. About the coffee: Janszoon has been around since Artisan Roast first started and has remained one of there most popular coffees to this day. It's big, full-bodied and syrupy sweet, perfect for pulling espressos at home or for a really punchy filter to get you going in the morning. 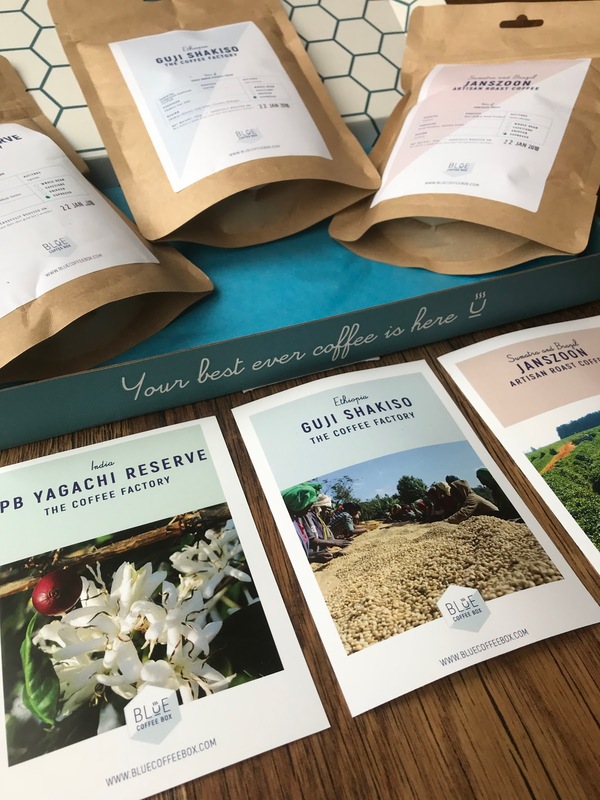 It's comprised of exquisite high altitude Arabica beans, roasted to two distinct profiles, the main bean in the blend is a wet-hulled Northern Sumatran from the Aceh Province. The Sumatran bean gives the blend the deep chocolate bass notes and heady tropical fruit notes. The Sumatran beans just bursts through milk and is a great base espresso for a tasty cappuccino. The semi-washed Brazilian bean from the Daterra State gives the blend a bright citric snap and red fruit. This really comes through when served as a pure espresso or long black. Together, these beans complement each other and the result is a balanced, syrupy espresso with massive chocolate notes, bright fruity finish and a wonderful crema in the espresso. It's an oldie but a goldie, handpicked, before being bagged in GrainPro for export from the port of Djibouti. What we thought: This coffee was Liam's favourite from this month's box - as a massive chocolaholic he really enjoys sweet coffee and the deep syrupy taste of this one was a winner for him - lifted by the fruity notes, the overall balance of flavour is delicious and it leaves a wonderful non-bitter after taste. The code can be applied to gift boxes or the longer subscriptions, too. I was sent a three month subscription to Blue Coffee Box in return for these honest reviews. What a fab idea! Was totally in need of a last-minute gift idea for my dad. I tried adding the voucher to a 6 month gift subscription, but it said not valid. Any ideas?